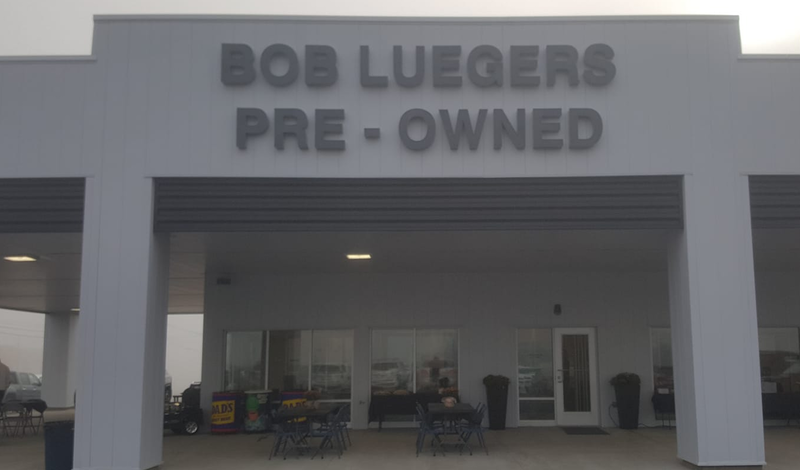 JASPER -- Bob Luegers Motors in Jasper celebrating the grand opening of its new Pre-Owned Center with a ribbon cutting this morning. "It's been something that has been in the works for quite some time," explains Kyle Dauby with Luegers Motors. "We [have] third-generation here from the Luegers family coming in. We want to keep it going for all of our local folks." The expansion is a sign of the company’s growth and the area's economy. "There are a lot of smaller towns and cities that regress, and Jasper is definatley on the move," said Dauby. "We're fortunate enough we have the industry here, steady industry. We want people to know we are here to stay and invest back in the community." Grand opening celebrations continue Friday and Saturday with green tag prices on vehicles, thousands of dollars in giveaways and free refreshments.